The Quality Inn hotel in Middletown, NJ near the Sandy Hook Peninsula will get you rested and ready for anything. 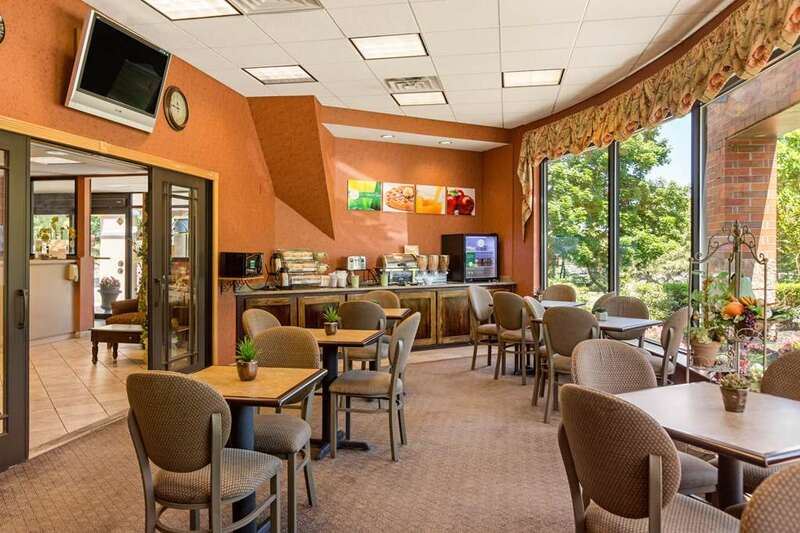 Located off of Route 35, this pet-friendly hotel is also close to Count Basie Theatre, Two River Theater, PNC Bank Arts Center and Naval Weapons Station Earle. Enjoy amenities like free hot breakfast, free WiFi, guest laundry facilities, free coffee and our outdoor heated pool. Rooms come equipped with a flat-screen TV, refrigerator, microwave, coffee maker, hair dryer, iron and ironing board. Also, earn rewards including free nights and gift cards with our Choice Privileges Rewards program. Pet Accommodations Two pets per room, 70 pound limit per pet. 30.00 USD per night up to 120.00 USD maximum per stay. - Atlantic City Int'l. Arpt. America's first museum devoted to the Vietnam war era, adjacent to the state Vietnam Veterans Memorial. The World's Tallest Clown (a converted water tower), a driving range with satellite dishes as markers, and a unique rock museum, courtesy of "The Greek." A Muffler Man holds a roll of carpet, the fiberglass statue made famous by its appearance in the opening titles of the Sopranos HBO series. Science, Industry, and Education dispel War, Famine, Pestilence, Death, Greed, and Materialism. In a fountain. Elaborate and alarming.